Terrariums are a 19th century invention. 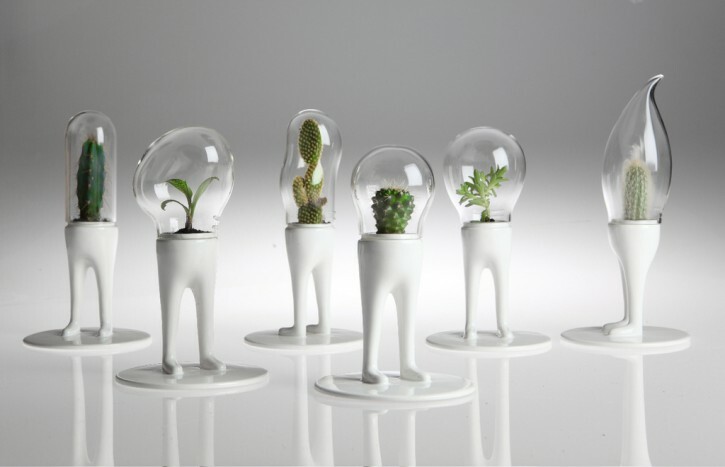 But no other plant container looks more futuristic. Taking that notion to whole other planet is Matteo Cibic, a multi-threat creative director for architecture, design and ad brands, who introduced the Domsai at 2009's Design Week in Milan earlier this year–and who have arrived at A+R. Trina Turk's take on fashion summons fantasies of California living at its modernist perfection, a life the designer and her husband, photographer Jonathan Skow, don't simply pay lip service to through their 14-year-old company. 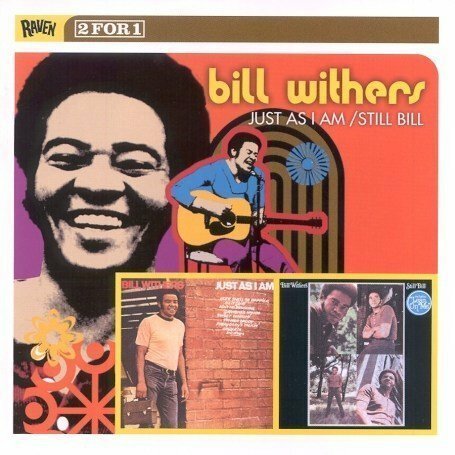 From "Ain't No Sunshine to " to "Lean on Me" to "Lovely Day," Bill Withers' honeyed voice and sage lyrics, brought to life with those sinuous, haunting grooves, have always sounded like they did for the first time–fresh, relevant, right. 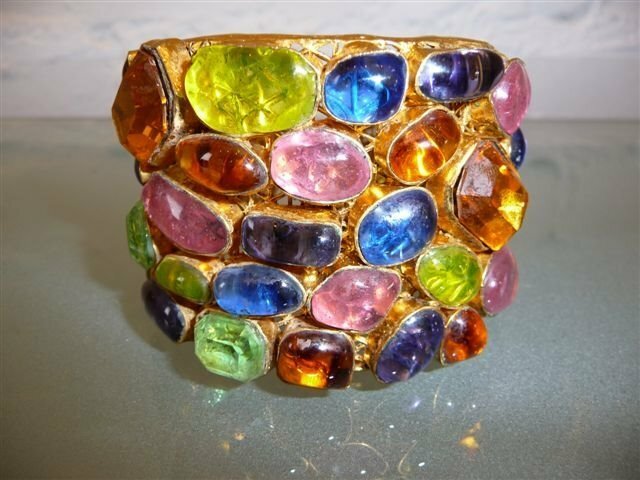 Chanel runway cuff circa 1980s–at an unbelievable 25% off. Our pals Cameron Silver and Christos Garkinos, the divine duo behind vintage Valhallas Decades and Decades Too, are offering everything in their eponymous Melrose Avenues shops and online at Decades and Decades Too at a whopping 25% off this Saturday, September 26th from 11 a.m.
Bravo to Maarten Baas for being named Designer of the Year of this year's Design Miami (happening December 1-5). 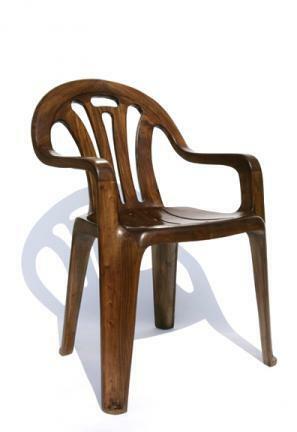 The dutch designer joins Zaha Hadid, Marc Newson, Tokujin Yoshioka and the Campana brothers as year five recipient. 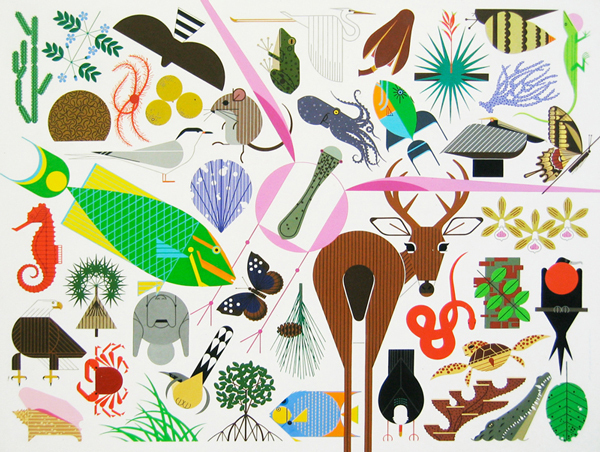 The highly stylized modernist work of Charley Harper got a highly stylized showcase with the opening last Thursday eve of the new Country Club exhibition space in Los Angeles. 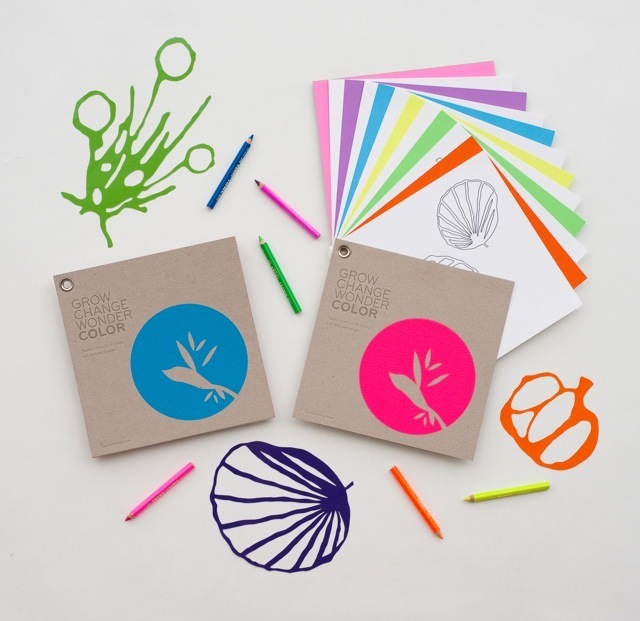 Karen Kimmel Kids: Color beyond the customary lines. This Sunday's creative do with artist Karen Kimmel has us contemplating who among our friends' offspring we can borrow for the day. A fine artist with the soul of a craftsman, Karen has parlayed her lexicon of organic patterns, vivid colorations and layering components into a an activity of expression that encourages others to participate in her process while letting their own imaginations run wild. 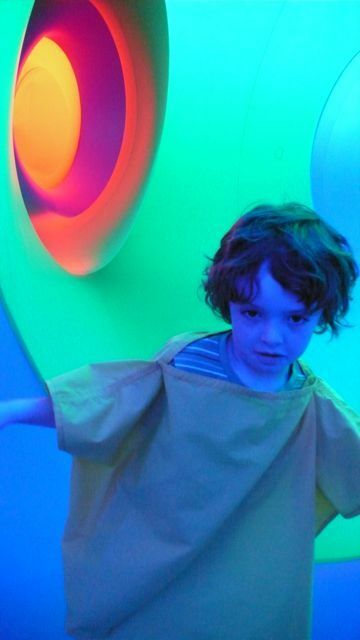 Albie's blue moment inside the Colourscape chambers. That whole notion of being bathed in color took on a wonderfully absurd tenor when we pushed through the slit in an inflated, mammoth balloon-like room and into an otherworldly trip of psychedelic vision and sound, hold the pharmaceuticals. Bacon is the New Sun-Dried Tomato? 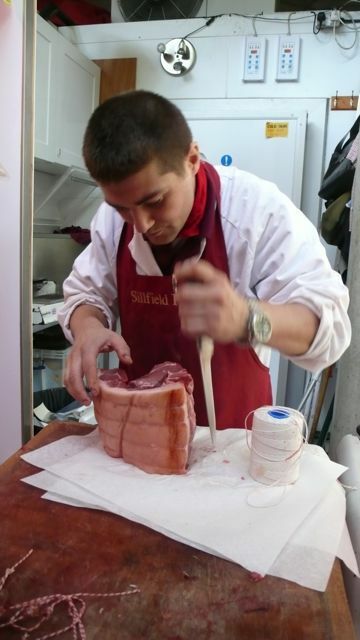 The Before: A Borough Market butcher considers our shoulder. Just back from a second pop over to the U.K. in as many months, and am eager to stab into a crunchy bowl of greens Andy's now prepping. 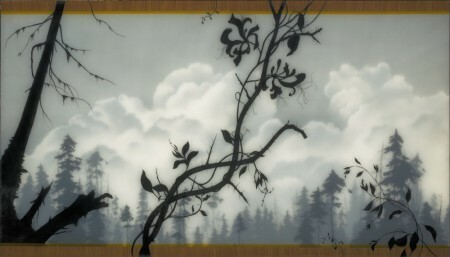 The hazy muddle between nature and industry that has long been a hallmark of Brooks Salzwedel's work gives way to a newly defined examination of nature versus nature in his latest collection, debuting this Saturday, September 12, at the Atwater Village gallery, Black Maria (between Silverlake and Glendale and near several delicious restaurants for dinner). 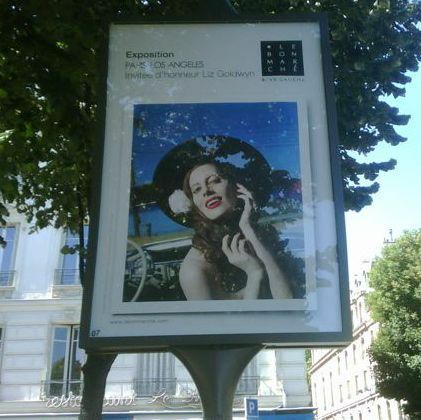 Andy took the Chunnel from London to Paris this weekend to hunt out new goodies at the Maison & Objet design show. On arrival, his first text wasn't about a new product find. As Paper magazine marks its 25th anniversary issue this month, an ebullient congratulations go out to Kim and David and the rest of our peeps at the quintessential downtown source (and we mean downtown as in every town as a state of mind) for sustaining a keen eye on the cultural orb and (most critical in these days of economic ruin) for keeping their heads above water. That old chestnut shines ever brighter. 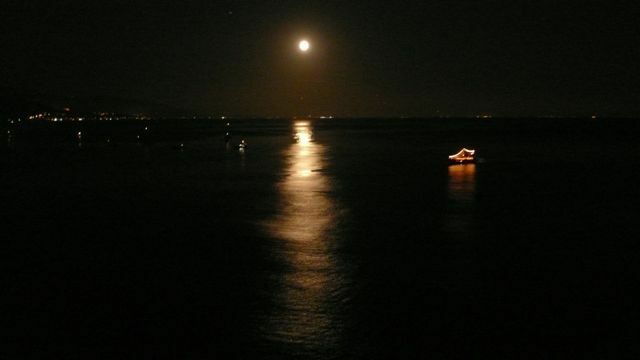 This weekend's moon over Malibu, where I spent a few cool hours away from sultry Silverlake, was absolutely astonishing. 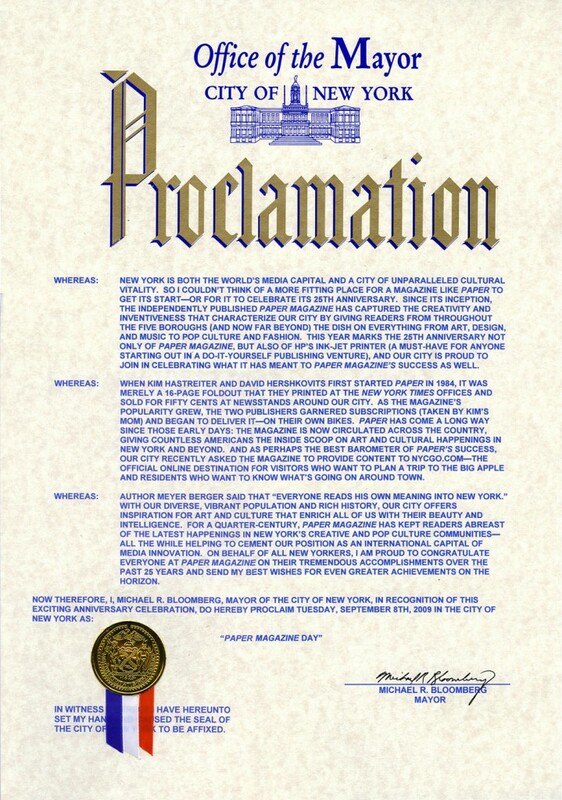 Ok, and a bit of a cliché. Welcome to the 'Hood: Mona Moore steps onto Abbot Kinney. "Shoes plus cocktails are like crack," cracked Tracee Ellis Ross, "a dangerous combo." 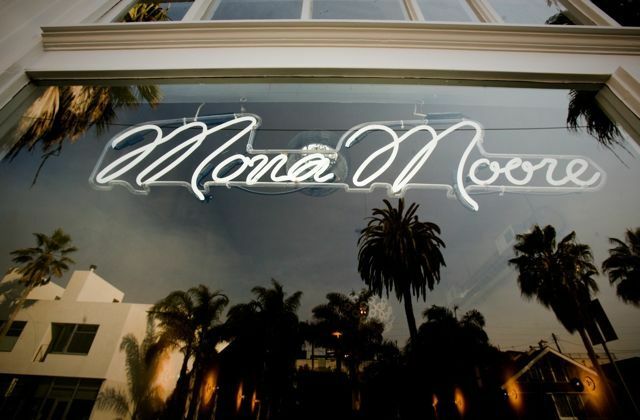 That was a total understatement Thursday night at the opening bash for Mona Moore on Abbot Kinney, the first U.S.